Think of South Indian food, and idli, sambar, and dosa would strike your mind first of all! Isn't it? Yes, this is the quintessential south Indian menu that has become widely popular world over for its rich taste, unique flavors, and nutritional boost! Well, this is exactly what inspires most of us north Indians to cook south Indian food. I must admit I love Chettinad cuisine, Malayali food, and of course, Tamil recipes. One thing they have in common is the inclusion of coconut, which makes food more rich and flavorful, though the time of inclusion may vary! 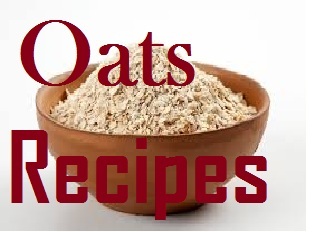 Savor any recipe bursting with coconut flavor and you would want to have it again and again. At least, this is my experience! South Indian food has been instrumental in making me a coconut lover. Don't believe? Taste food from south Indian cuisine and you would know it yourself. The best thing is south Indians make the most yummiest of food in the simplest of way while not tempering much with the nutritional portion. 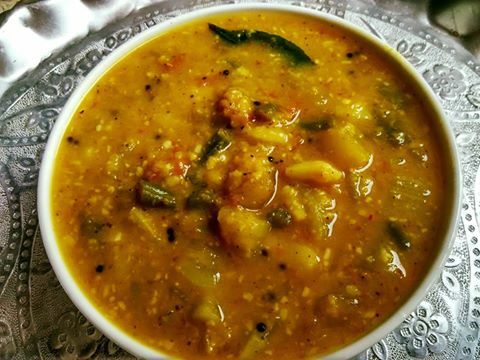 In simple words, sambar is a concoction of lentils and vegetables. Personally, I was not too much fond of this south Indian gravy until I started cooking myself. 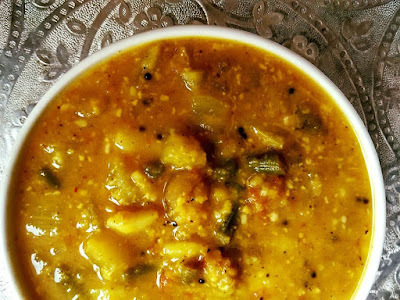 The prime reason being that the kind of sambar cooked in Punjab, or at my mom's home, was very simple - a blend of arhar dal and tamarind - that's it. 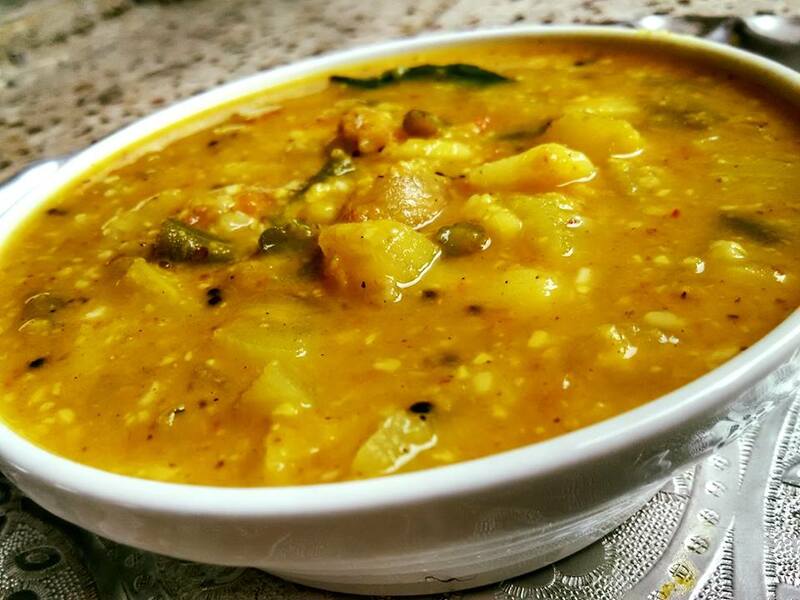 We call it khatti dal or tangy lentil curry, which we savor with rice. Of course, I do love the sambar mom makes this way. After all, nobody can say no to mom-made food, can you? Now let's come back to OPOS Sambar. OPOS is spelled as One Pot One Shot! Yay! It's as simple as this. The beauty of OPOS lies in layering. It's the layering that ensures even cooking. Dumping everything would give us uncooked veggies!! I had never dumped previously, but OPOS has given us the magic wand to cook anything in an instant. 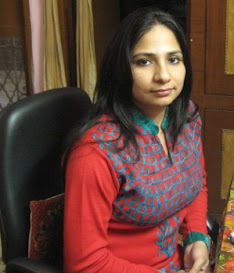 I went through Chithra Viswanathan CV's OPOS lessons/recipes and that was when the OPOS bug bit me. 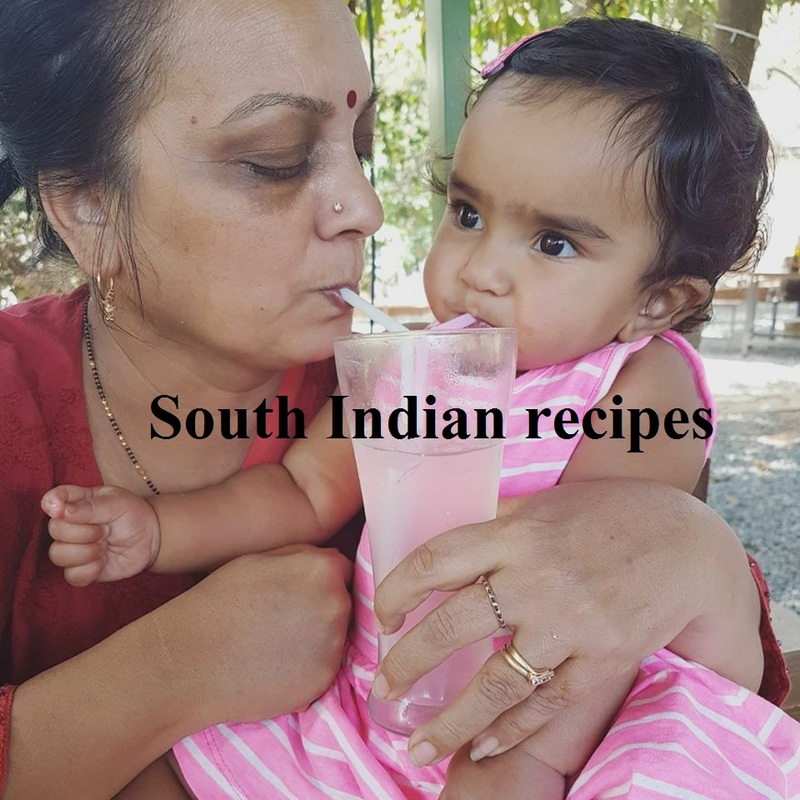 I have been following the very renowned Chithra Viswanathan for over a year in social media for her yummiest south Indian recipes. Recently, she introduced her followers to OPOS technique. It did interest me, since the method promises to cook food in 2-3 whistles only! Surprised I was when I saw this post from Chitvish! Initially I thought it was just for simple vegetables, but when I saw people sharing their feedback with the reputed lady, I was thoroughly surprised to see the results. 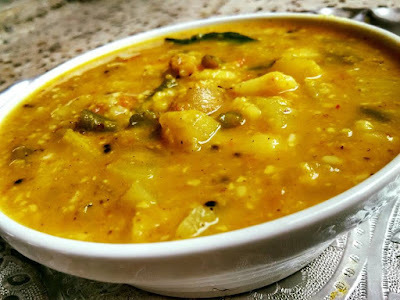 Believe it or not, my beginning journey with OPOS has been beautiful - I have just entered the world of OPOS cooking, because I rarely have time to cook, even though I post a lot of cooking posts.My first trial with OPOS was sambar and beans thoran. 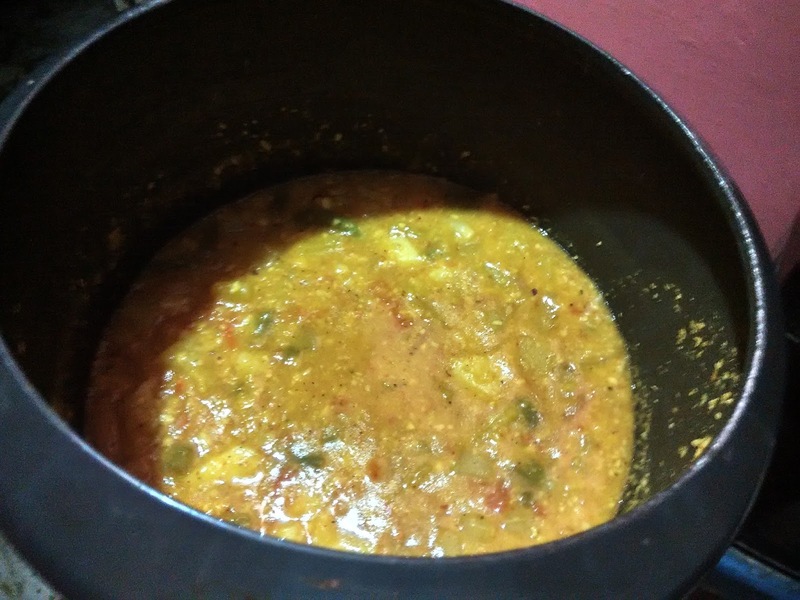 I still do not believe that I have come up with the best, lip-smacking sambar ever cooked by me. This is no exaggeration - believe me or try this method yourself. The sambar interested me so much that I have kept my share for the dinner as well. Now it shows that it was seriously finger-licking good! But OPOS requires complete understanding. You should not start with this technique without understanding the basics. I am still trying to understand and shall continue to try recipes with this technique and share with you. Tomorrow I will be trying cauliflower-potato curry with OPOS. Let's see how I go about it. A WORD OF CAUTION: Do not start without understanding of OPOS technique. You need a 2 or 3-liter pressure cooker for this method. if you don't have that, please do not follow OPOS procedure, as it could be dangerous or could leave veggies uncooked or burned. Cook dal with water and haldi for 3 whistles. Keep aside. Chop all veggies in small pieces so that they can be cooked within 5-6 minutes. Mix coconut paste with tamarind-jaggery paste, sambar masala, and little salt. Grind it into thick paste. Take a 2 or 3-liter cooker. Add 3 tsp of water. Now add 1 tsp of oil. Start layering vegetables for the hotel-style sambar. 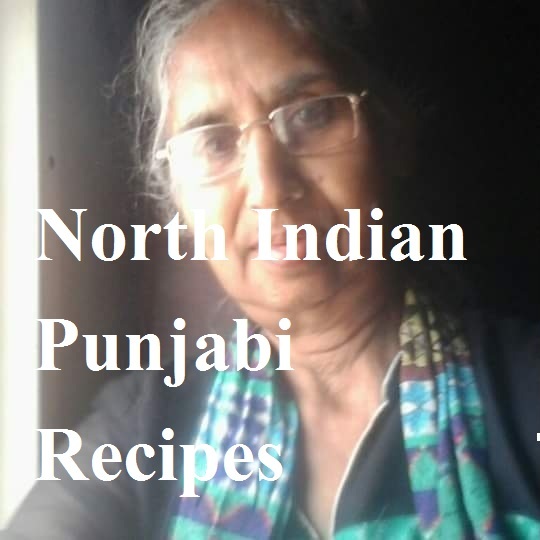 Place onions, tomatoes, potatoes, beans, pumpkin, and bottle gourd one over another. Mash dal that we have already boiled and pour over the vegetables in the cooker. Add salt. Do not mix. Pour the coconut paste over it. Do not Mix. Close the cooker lid and let it cook for 2 whistles for 5-6 minutes. Turn off the flame immediately after 2 whistles. Else, everything inside the cooker would burn. Add hing, mustard seeds, and curry leaves. Open the lid and pour the tempering over the mixture. Leave it for 5 minutes and enjoy hotel style sambar at home.